Get a lightning-fast internet package up to 1Gbps for your home for as low as RM99/month! RM0.10/min to all fixed and mobile numbers nationwide. FREE 30 minutes/month. Thereafter RM0.10/min to all fixed and mobile numbers nationwide. FREE 300 mins/month. Thereafter RM0.10/min to all fixed and mobile numbers nationwide. * A one-time charge of RM300 is applicable to 12-month contracts and subscribers are not entitled to promotions. ** These plans are subject to a 24-month contract term. Entitlement of free minutes for these plans are renewable monthly and cannot be carried forward. 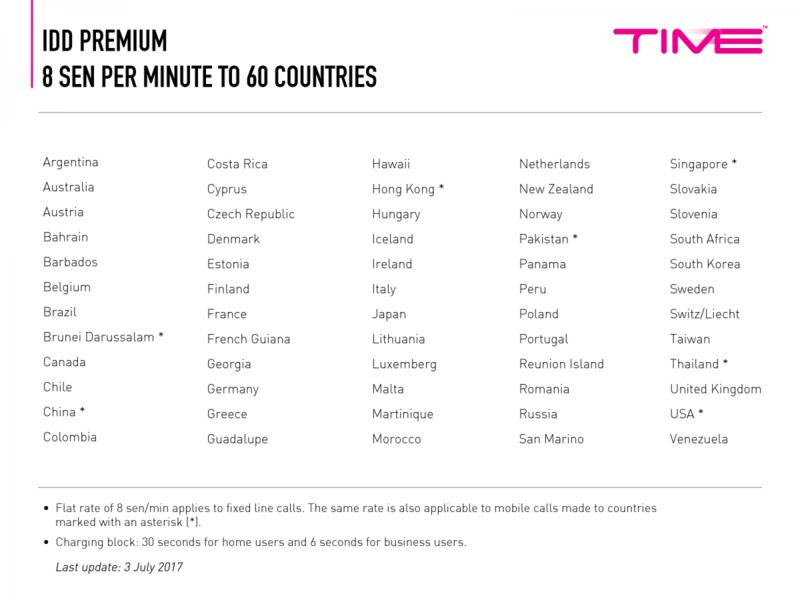 Normal call rates apply upon full utilisation of free minutes. Find out if your area is covered now. We Are Selling TIME Home Fibre Now!